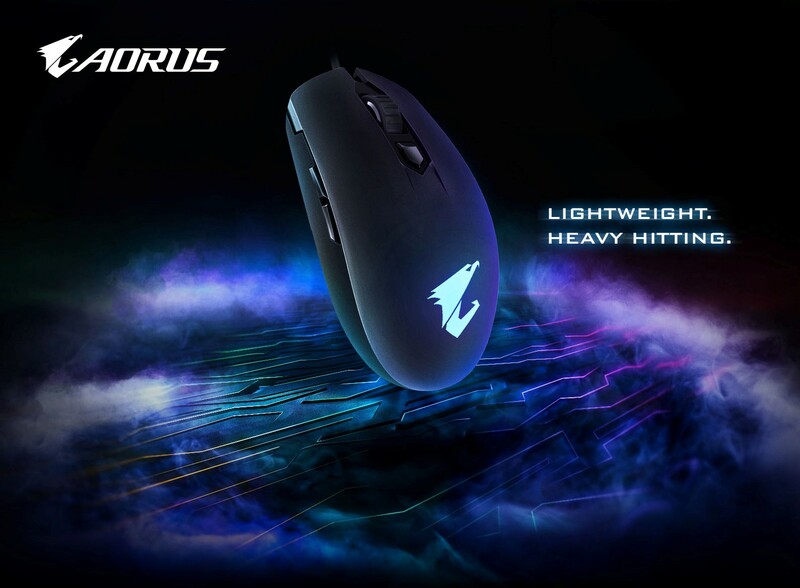 Taipei, Taiwan, April 8th, 2019 – GIGABYTE, the world’s leading premium gaming hardware manufacturer, today announced the release of new AORUS gaming gear, the AORUS M2 Gaming Mouse. The lightweight AORUS M2 is designed for e-sports players who need the extra durability. The less than 80 grams and flat design allows the player to quickly move the mouse. Built with the latest generation optical gaming sensor, Pixart 3327, it’s perfect for all e-sports players. The on-the-fly DPI button allows players to change instantly without having to launch any software. The symmetrical design and the pair of buttons on each side are truly designed to be used by both right and left-handed gamers. AORUS M2 boasts an enthusiast-grade 6200 dpi optical sensor (Pixart 3327), capable of 220 ips and 30G acceleration, that gives you the ultimate accuracy for competitive gaming. Adjustable in 100 dpi increments, it further allows you to make a seamless transition from your old mouse by fine-tuning to the level that precisely fits your play style. The Japanese Omron switches on both buttons provide the most comfortable experience with crisp, tactile responses at your fingertips. The switches are also engineered to guarantee an extended life-time of over 50 million clicks. Boasting a 32-bit ARM processor, AORUS M2 delivers low-latency performance and amazingly fast processing ability. Each button on AORUS M2 can be configured via AORUS Engine to meet your commands. The settings are directly saved onboard. The compact and lightweight AORUS M2 not only has the performance of a high-end gaming mouse but also the RGB Fusion 2.0 function that can synchronize the colorful lighting effects with other AORUS devices. AORUS M2 is the best weapon for all e-sports players. Review of Acronis True Image 2019 - Backup your data before it's too late!